Comments: Annie Parker 'Parke' Harris (1880-1953) was the oldest child of Charles Bascom Harris, Sr., and Helen Goddin (Crafton) Harris. Parke attended Peabody College (now Vanderbilt) in Nashville, Tennessee, and taught school in Georgia after her graduation. 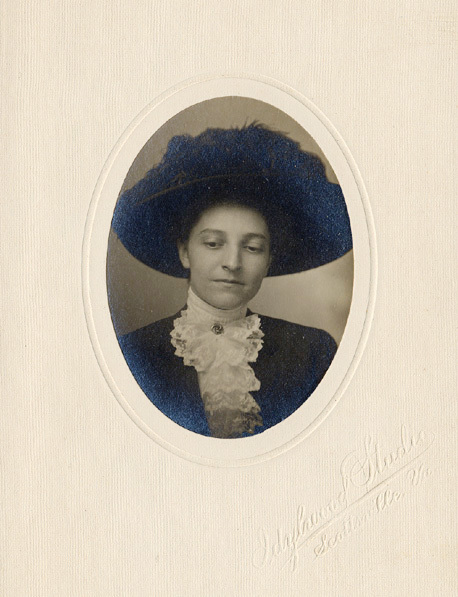 She returned to Scottsville to teach school and later married William Day Smith, principal of Scottsville High School, on June 3, 1910. Parke also was an accomplished musician and played the organ for Scottsville Methodist Church services as a young woman.